The animation genre has come a long way since Walt Disney first created Mickey Mouse, Goofy, Donald Duck and Minnie Mouse. A decade is a short amount of time, but in that short amount of time we have seen some of the greatest animated movies of all time find there way onto the big-screens. Over the past decade, it should come as little surprise that Walt Disney is not the only animation studio releasing animated 'greats', but other newer studios with the likes of DreamWorks Animation, Disney Pixar, Blue Sky Studios and Illumination Entertainment. Animation movies have adapted and changed a lot over the past decade, which is why we have decided to create a list of the greatest and most significant animated feature film releases from the past decade (2004-2014). A lot of these movies will come as little surprise to see, however, we hope there are a few surprises as this was a tricky list to collect given the vast number of perfectly adequate (for this list) movies that have been released in recent years. There is no better movie genre in our opinion, as animated movies are fun for the whole family with no limits on the ways that they can surprise and really touch on our emotions. This list is mostly based on our opinions, but we are more that sure that there is an array of animated delights on this list that you wouldn't/couldn't disagree with. The rankings are based on the time of release (in movie theatres) for the movies, although, each and every movie is as deserving as the other for the top spot, had the list been organised from best-to-worst. Not a bad movie to start-off the list, as this is the first animated movie of the 21st Century to be set around Superhero's', but not just any Superhero's', a family of Superhero's'. As a huge fan of Marvel and DC Comics movies, it is always fun to watch an animated movie about Superhero's', and I must admit, Pixar have done a fine job as The Incredibles is a movie to add to your collection. Zoo animals loose in the wild. This is something that would usually be welcomed (we'd imagine) by animals, but in the case of Alex (the lion), Melvin (the giraffe) and Gloria (the hippo), this is the last thing they want. However, Marty (the zebra) is pleased with the idea of being free in the wild, and all of these characters wind up on a small island, Madagascar. The ultimate animated movie about everyone's favourite zoo animals in a story about zoo animals transitioning from a zoo, where they are fed, given shelter, medicated and kept from harm, to the freedom of the wild, where all of the luxuries of the zoo are non-existent. Finally, a movie for the one of the greatest shorts of all time, Wallace and Gromit, two of the most beloved animated characters of all time. The movie kept true to Wallace and Gromit fans, as it had a similar feel to that of the shorts which had been done prior to the movie. 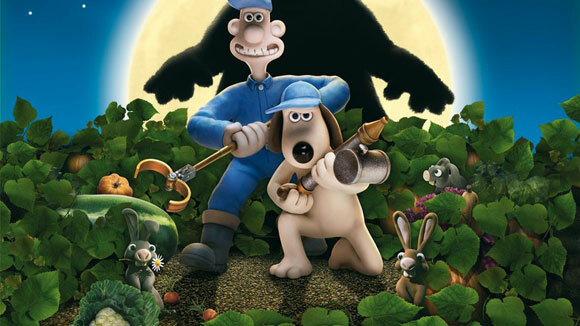 Aardman, the production company behind Wallace and Gromit, did a marvellous job at producing a movie which paid tribute and added to the Wallace and Gromit collection. Talking cars, that's something that only Pixar could come-up with, but to our surprise the movie was actually very good. Owen Wilson, voicing Lightning McQueen, really suited the character as every moment during the movie you listened and found yourself being captivated by Lightning McQueen. The story was original (as Pixar movies always are) which made watching the movie more entertaining, if that's possible. We all (or most) have a distinct like for cars, making it somewhat appealing to watch the movie purely because it is about talking cars, in a world of talking vehicles (and no humans). Clearly a movie aimed at young children, but that isn't to say that adults won't enjoy the movies humour and fun storyline. From the small-screen to the big-screen, The Simpsons is one TV series we've all seen and all enjoy watching (some more than others). The movie could have ruined the series, had it not been very good or true to the series, but thankfully the story was entertaining, original and true to the series. There has always been a time whilst watching The Simpsons TV series that you're wondering, "I wonder what The Simpsons would be like as a movie", but now we all know, and the movie is amazing and makes us as Augustus Worth love the TV series all the more. Another Pixar movie with all of the originality, all of the creativity, and an all new talking animal (or rodent) that we have all expected to see in Pixar's movies. Set in Paris, starring talking rats (one of which has ambitions to be a famous chef), what could be more interesting. The life of a rat, all explained in one movie, plus a few things rats can't do (like talk or cook delicious food), all adding to the reasons why you (and everyone) should take time aside to watch the movie. One of Pixar's best animated feature films. No.7 - Dr. Seuss' Horton Hears a Who! The Dr Seuss book-to-movie adaptations are always ones to watch out for, and Horton Hears a Who is one of the best, due to the intriguing little town on a speck noticed by an elephant who finds the speck on a flower in the movie. Interesting. The art of Kung Fu explained in DreamWorks, Kung Fu Panda, featuring Kung Fu masters (all of which are talking animals) and a want-to-be Kung Fu "Panda". It was only ever a short amount of time until an animation studio created a movie set around martial arts (in this case, Kung Fu). But as all good animators know, the characters need to be talking animals, which is why this is great animation movie, with some embarrassingly funny moments. Thinking about Pixar is always madness, but that is what we all love about the animation studio, as they are not afraid to take their movies to new and exciting places. Following there usual routine, Pixar creating something different, in this case, WALL-E, starring WALL-E, the robot tasked with cleaning-up earth's waste after earth is abandoned by humans. This is a movie with love, happiness, loneliness and all of the emotions we didn't know (fictional) robots had. Any animated movie starring a 'star' dog, a cat and a crazy hamster is a movie I want to watch, and this movie was fun from start-to-finish. The 'star' dog is voiced by John Travolta which was a welcomed choice for the character, as it adds to the screen presence of the animated character, which is the star of the movie. Plus, a cat and a hamster, this is an odd bunch of characters to travel together but this is why it's a great movie. Coraline is a dark animated movie, which oddly feels a lot like a Tim Burton movie (although, Burton has no involvement in the movie). By far one of the best animated movies of all time, which is has a sinister feel throughout the movie, hence the reason why Disney didn't produce the movie, in fact, Coraline couldn't be any further from a Disney movie. It's interesting how Pixar have managed to take a seemingly sad story and then twist and turn it into an enlightening, fun, but most of all, entertaining movie. Pixar never cease to amaze us (or audiences everywhere), and Up is no exception. To sum-up the movie, lots would put "Up" at the top of their best animated movies of all time list, which we wouldn't argue with. It's just that good of a movie. 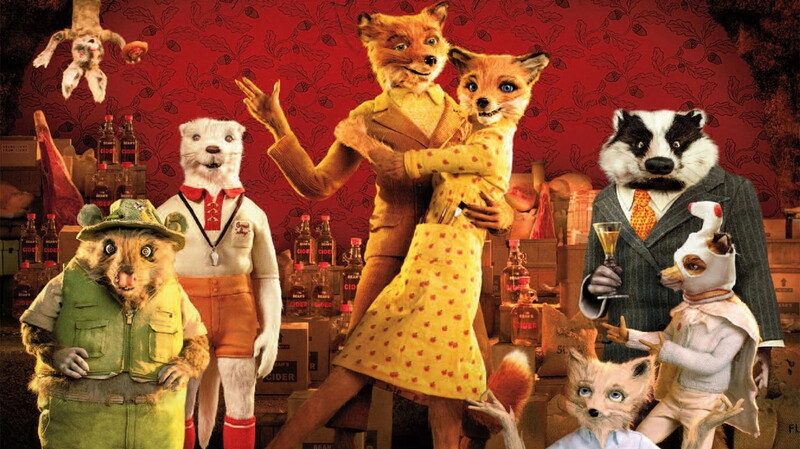 Puppet like animation is a welcomed delight from Fantastic Mr. Fox, which is also one of the most ground-breaking animated movies I have seen in a very long time. The characters have been perfected beyond perfection, the storyline is gripping, and all of the talking British wild animals are brilliant. And with voices from George Clooney (Mr. Fox), Meryl Streep (Mrs. Fox) and Bill Murray (Badger), that alone gives reason to at the very least watch the movie. Viking are interesting, dragons are interesting. That's right, DreamWorks have blended the two together in a world where Vikings rule the lands and dragons rule the sky's, that's why How to Train Your Dragon is such a great movie, as it has taken another great idea and turned it into another great movie. A villain unlike any other villain you've ever seen before, as he is only villainous on the outside, as at his core he is a kind spirit, although he does still like to do evil things. This villains name is Gru. The story is a loving one, although, as all great animation movies require, there is a bad guy (not Gru) named Vector, a next generation villain with plans (the same as Gru's) to shrink and steal the moon. It's fun to watch all the way through, as two villains battle to become the ultimate villain which they each aim to do by stealing the moon. Not to mention, there are cute and cuddly yellow minions which are also funny to observe throughout the movie. The super-villain becoming the hero is an idea which no animation studio had thought of doing, until now, as Megamind is a mind-blowing movie where the super-villain becomes the hero. This is mind-blowing as it sounds like such a simple idea, which DreamWorks have taken and turned into an awesome movie (with an awesome name). What's the one character from fairytale's' that Disney haven't turned into an animated movie? Rapunzel would be the correct answer, until now. The movie has all of the usual elements of a Disney princess movie, however, in Tangled Rapunzel is more of a leading lady with a stronger character which is less reliant on a male lead, although that is still the case at times in the movie. The coolest lizard in the animated movie world, voiced by the coolest actor in Hollywood, Johnny Depp. An interesting animated movie about the world of dessert animals, which admittedly is rather new in terms of animation, as Rango (a lizard) stumbles upon a wild-west-style town where he soon becomes the town sheriff. The wild-wild-west now has an animation movie which has taken steps to involve the time-era in some ways, but it's the interesting characters, good and bad that makes the movie so much fun to watch. Winnie the Pooh is a welcomed remake of a classic, which has brought back all of what we loved about the original. The Hundred Acre wood is a welcomed sight in animation, as it has been a long time since we've seen a Winnie the Pooh movie, although there have been plenty of Winnie the Pooh spin-offs'. Christmas movies are always entertaining, especially when they are animated, as we haven't seen many animated Christmas movies of the years. However, Arthur Christmas, among the few animated Christmas movies that have been made, is a gem if there ever has been one. The collaboration between Aardman and Sony Pictures Animation is one that seems to have worked superbly, as Arthur Christmas had all of the down-to-earth (and British) elements that we have come to expect from Aardman and the Sony Pictures Animation animation that we have come to expect from Sony Pictures Animation. Pixar, taking a step back in time, stumbled upon the medieval era and thought they'd create a story about a young princess (being the strong leading lady) and her relationship with her mother, the queen, which is rocky to say the least. This was a fun story to watch unveil on the screen, especially since the movie was so refreshing to watch when compared to the present-day and future movies that Pixar have been eager to create over the years. This was a fun movie with Scottish accents, arrow shooting, bears, and a witch in a medieval kingdom. 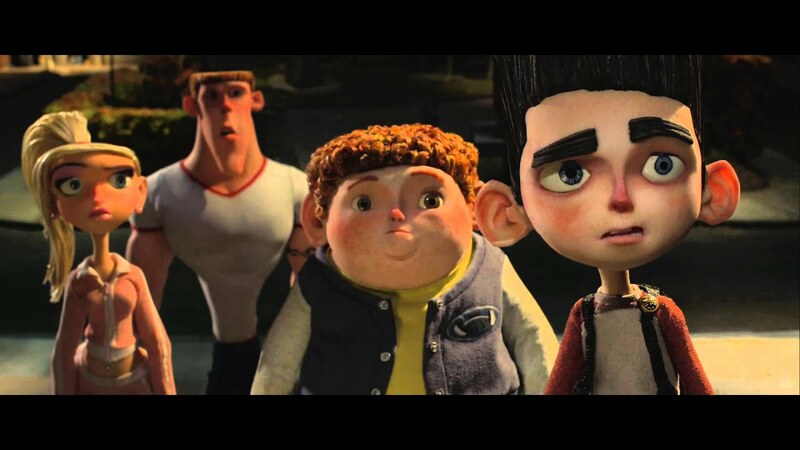 Imagine an animated movie with zombies and young people forced to find a way to change the zombies back into humans, then you'll have ParaNorman, the ultimate zombie animated movie (suitable for the whole family to watch). Finally a Christmas(y) animated movie created by Disney (even though Beauty and the Beast was Christmas(y), that movie was created more than two decades ago). There is a catchy storyline, fun characters, funny characters, leading lady characters and supporting male characters, Disney have hit on the head with this one. An animated movie starring all of the coolest movie characters (and others); including Batman, Abraham Lincoln, Gandalf and Green Lantern, this all added into making one of the greatest animated movies of all time, and the greatest animated movie for 2014. An inflatable robot and a team of high-tech heroes, what more does an animated movie need to have to be awesomely entertaining? Nothing. 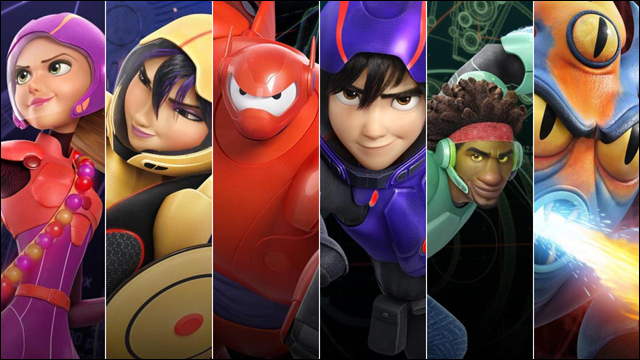 Walt Disney are on a role with the great animated movies that they are producing, and Big Hero 6 is one of the best so far for the 21st Century listing of animated movies produced by Walt Disney Animation Studios. Did we miss any movies? Let us know in the comments box below.